I didn’t get any matching receipts last week, but then, I didn’t do a great job of reminding people either. I’m making a default donation of $25. Even with the Affordable Care Act driving down the percentage of uninsured people to historic lows, there are still many people who remain uninsured or underinsured for a variety of reasons. In many cases, it’s due to some individual states’ choices to refuse to expand Medicaid as allowed under the ACA; this Kaiser Family Foundation report looks at some of the details, including the fact that 91% of the 2.5 million people that remain uninsured specifically as a result of their states’ failure to expand Medicaid live in the South. As a result of this gap in health care coverage, many people still have to rely on the generosity of family, friends, and strangers to avoid being bankrupted and/or made homeless by the costs of their medical care. This week, I’m going to be matching donations to individual fundraisers on GoFundMe, IndieGoGo, and elsewhere as needed. I’ll match up to $500 in donations this week – forward your donation receipts to matching@pyrlogos.com as normal, and I’ll include every fundraiser in this post so others can contribute as well. (If you don’t want your first name and last initial included alongside the fundraiser, just let me know in the forwarded email.) If the donations to be matched exceed $500, I’ll make sure to donate some amount to every fundraiser, so don’t worry if you’re not one of the first few to forward your receipt. Finally, for this week in particular, I will match donations made prior to this post. Normally, part of the point of a matching program is to encourage others to donate when they might not have otherwise – but this week you’re encouraging me to donate instead. This is especially important if your senators or representative is Republican: call your congresspeople and let them know how much of a disaster their plan to make 24 million people lose their health insurance would be. Some Republicans are already starting to question the political wisdom of following through with the ACA repeal, and we have to keep the pressure on. So, Muslim Ban 2: Electric Boogaloo happened. Which means we get to start this fight all over again. Let’s get to it. Thanks to Jeff P. and Rachel H., last week we raised $225 for Lambda Legal! Thank you! The American Immigration Council is another organization that has been involved in litigation against Trump’s first, disastrous executive order on immigration. They’re also involved in public advocacy against Trump’s proposed border wall and the abuses of Customs and Border Protection and Immigration and Customs Enforcement. Donate to the American Immigration Council and forward your donation receipt to matching@pyrlogos.com, and we’ll match the first $100 in donations. Plus, all donors will be entered in the monthly art giveaway! Keep up the pressure on your congresspeople to repudiate the Trump administration. Whether it’s calling for investigations into the Russia connections, opposing the new attempt at a Muslim ban, or fighting for healthcare accessibility, your senators and representatives are our best defense against Trump’s agenda – if we can get them to act. It’s still hard for me to keep up with everything, but one thing I will say after last night’s speech and the media’s bizarre takes on it: Please do not believe that Trump’s ability to give one speech in which he sounded vaguely coherent for most of it means he’s somehow turned a corner on his presidency. His policy positions are still immature and nonsensical in the best case, and still literally evil in the worst. Thanks to Elizabeth B., Andrea F., James S., Elisheba J., Wing M., and Maria E., last week we raised a total of $230 for The Trevor Project! Thank you, everyone. Donate to Lambda Legal and forward your donation receipt to matching@pyrlogos.com, or donate through the Facebook post, and we’ll match the first $100 in donations. Plus, each donor will be entered into March’s art giveaway! It’s been a while since I’ve mentioned the “We’re His Problem Now” spreadsheet. Now they’ve built it out into a new website, thesixtyfive.org – standing for the 65 million Americans who voted against Trump. This week, they’re asking Americans to call their representatives and senators to investigate Russian interference in the presidential election. They also have an Issues List with several scripts for different issues that you might want to call your congresspeople about. We know from multiple sources that public pressure on members of Congress is working – keep it up! Thanks to work, in the past week I haven’t been paying as much attention to the news as I had been for the last few weeks. It’s relaxing in the short term – but so is playing video games while your house burns down around you. One bit of news that has broken through, however, is a certain inflammatory, racist, doxxing transphobe losing his speaking gigs and book deal because of his support for pedophilia. I’m appalled that it took as long as it did for the media establishment to decide that they shouldn’t be giving Milo a platform, but better late than never, I suppose? Edit: I had originally written this before the news broke about Trump and Sessions revoking the Obama-era guidance on allowing transgender students to use the bathrooms they feel comfortable using. This attack on trans people’s right to even exist in public is of a piece with Milo’s transphobia, but far more dangerous. Thanks to Maria E., last week we donated a total of $35 to Amnesty International. LGBTQ people across America are under attack right now, whether from transphobic hatred masquerading as “free speech” or from the Vice President’s agenda of redirecting AIDS funding to abusive “conversion therapy” programs. The Trevor Project is a crisis support organization for LGBTQ teenagers and young adults. They run a suicide hotline over phone, instant message, or text message, available 24/7. Donate to the Trevor Project and we’ll match the first $100 in donations – forward your donation receipt to matching@pyrlogos.com to have your donation counted, and also be entered into our monthly art giveaway for donors. It’s hard to keep pressing forward week after week. Take some time for self-care if you need it. Find others around you in need of care as well. Help your community survive, and keep resisting. 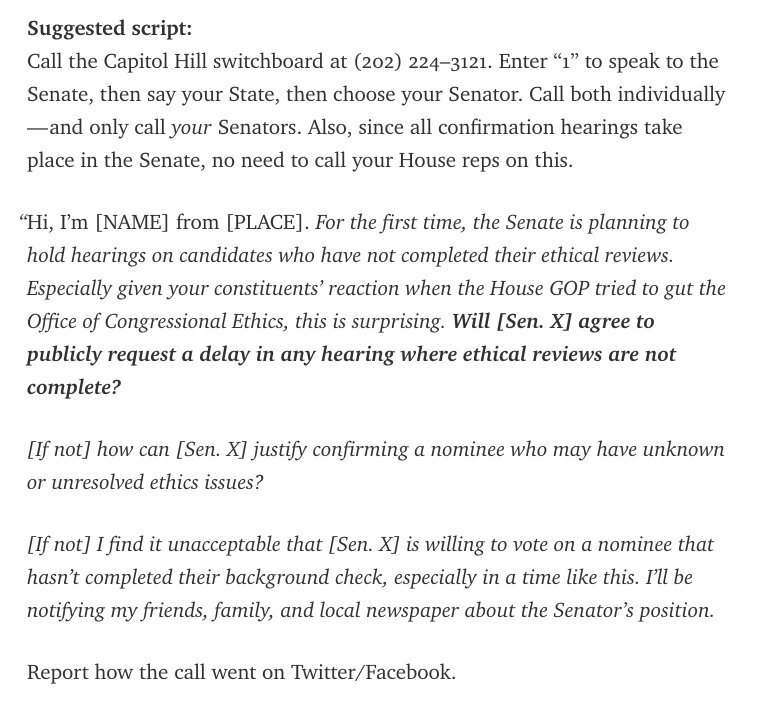 If you’re up for calling your representatives, consider putting pressure on them to support the investigation into Trump’s Russian connections. While impeachment and conviction of Trump won’t solve all of our problems – Pence is in some ways worse – it will at least deescalate some of the biggest problems currently being caused by the presidency. Edit: Today, I have also seen an excellent suggestion for action on Twitter (though I don’t recall the source at the moment): call your local school board, superintendent, or even individual schools and voice your support for allowing trans students to use the bathrooms they choose to use. This hatred is, in large part, being pushed on us by the government, the Republican establishment, and a small number of transphobic activists, but the fact that we outnumber the transphobes only matters if we make our voices heard. Thanks to Maria E., Madeleine B., and our anonymous matcher, we raised a total of $180 for CAIR last week! With Trump’s refusal to participate in the international efforts to aid refugees from Syria and elsewhere, the work of NGOs becomes even more important. Amnesty International‘s work in support of human rights is known around the world, not only assisting refugees but also fighting against torture, capital punishment, and other abuses. Donations to Amnesty International are handled by the individual national sections that make up the organization; from the main website, click the “Donate Now” link in the upper right and select your country. Forward your donation receipts to matching@pyrlogos.com; I’ll match the first $100 donated (regardless of section), and enter you into February’s art giveaway as well. The chair of the House Oversight Committee, Jason Chaffetz, claims that there is no need to further investigate Michael Flynn’s ties to Russia because the problem is “taking care of itself”. I disagree. If anything, Flynn’s resignation demonstrates the validity of the criticisms leveled against Trump himself since even before the election – that he is beholden to the interests of a foreign government. Please call your representatives and ask them to continue the investigation into the Trump administration’s ties to Russia, and also to demand Trump’s tax returns and other documentation about his assets and holdings, which he has still not made public. These two things are connected, and the picture they paint is not a pleasant one. Trump’s executive order to ban Muslims from entering the country is dangerous and wrong on so many levels. It’s immoral, it threatens Americans abroad, it will be used as another recruitment tool for ISIS, and its overly wide ban prevents even long-time non-citizen residents of the US – holders of green cards, workers’ visas, and others – from returning to the homes where they have lived and worked for years. In many cases, his order keeps people from their families currently living legally in the US. Not content to ignore the existing refugee crisis, Trump is actually creating more refugees with this order. Even given his erroneous justifications, this is still badly implemented policy. Of the four countries of which the September 11th terrorists were citizens – Saudi Arabia, the UAE, Egypt, and Lebanon – none were included. Trump has business interests in Saudi Arabia, Egypt, and the UAE, as well as Turkey and Azerbaijan, two other Muslim-majority countries not included in the order. This is not to suggest that the order should be extended – it should be rescinded – but rather to demonstrate that the only thing restraining Trump’s Islamophobia seems to be his own greed. And unlike most of Trump’s reprehensible policies, this one became a crisis for thousands of people with a stroke of Trump’s pen. So that’s why I’m starting this week’s match early, and increasing its scope. There’s still time to donate to the Disrupt J20 legal fund as well. I’ve raised money for the ACLU here before, and while I was intending to go a little longer before repeating an organization, the Muslim ban is an immediate emergency. The ACLU has filed a lawsuit against Trump on behalf of two people detained on that order, and is also helping many other people who found themselves stranded as a result of the ban. Donate to the ACLU here.1I mentioned ACLU’s peculiarities with respect to tax deductions last time. The legal work they’re doing here, including the lawsuit, can be supported through donations to the ACLU Foundation as well. I am also including a second organization this week: the Council on American-Islamic Relations. They have been on the front lines of the fight against Islamophobia for over two decades, and today they announced a federal lawsuit challenging the constitutionality of the ban. They are also assisting American residents currently stranded outside the country by the ban. Donate to CAIR here. Due to the gravity and immediacy of this problem, I’m increasing my matching limits as well. We’ll match the first $500 in donations to each organization. EDIT 1/30: Another anonymous donor has contacted me with matching funds; the first $100 to each organization will be double matched, for a total of $1,200 in available matching funds this week – just forward your donation receipts to matching@pyrlogos.com. As usual, each donation to either organization2This is an exception to the one-entry-per-week rule; donating to both organizations means two entries in the giveaway. will also count as an entry in the monthly art giveaway. Call your representatives and senator – here’s a handy tool to find them – and make it clear that you oppose Trump’s anti-Muslim executive order. Tell them the stories of legal residents of the US leaving the country and suddenly learning they couldn’t come back. Point out that those residents have effectively been deported without due process. Raise the moral question of our refusal to admit refugees; remind them that Anne Frank was denied a US visa that would have saved her life, and that in her case, as in thousands of others, the United States’ refusal to admit refugees was literally a death sentence. Point out that the ban doesn’t affect the countries where Trump owns real estate. Whatever you need to do to convince your congresspeople that this is an immoral, illegal, and unjustifiable act. We need to fight this, and we need our Congress fighting it too. 1. ↑ I mentioned ACLU’s peculiarities with respect to tax deductions last time. The legal work they’re doing here, including the lawsuit, can be supported through donations to the ACLU Foundation as well. 2. ↑ This is an exception to the one-entry-per-week rule; donating to both organizations means two entries in the giveaway. So, the inauguration happened. Then, the Women’s Marches happened. At least 2.5 million people, on seven continents – that movement is still in its infancy, and has a lot of growing to do (see the ongoing arguments about intersectionality), but we’ve put the Trump administration on notice, and it’s time to follow that notice up with action. Thanks to donors Carrie E., Rebekah C., Maria E., and Eric A., we raised a total of $280 for the Islamic Center of Eastside to rebuilt their arson-damaged mosque. Thank you, everyone! Over 200 protestors were arrested at the inauguration. Many of them will face “felony riot” charges, carrying a maximum sentence of 10 years in prison and $25,000 in fines. The Disrupt J20 Legal Fund will be helping the protestors fight these trumped-up charges. It takes a lot of courage to risk protesting an authoritarian president in the nation’s capital, and I do not intend to leave behind the people that took that risk and found themselves in a jail cell at the end of the day. As usual, I’ll match the first $100 in donation receipts sent to matching@pyrlogos.com. The organizers of the Women’s March are launching an action campaign to follow up the marches across the world. Continue making your voices heard. One of the many disturbing facets of Trumpism that I haven’t yet talked about here is Islamophobia. Trump’s insistence that Muslims are categorically dangerous to America has inspired a rash of hate crimes and bolstered the xenophobic outlook of his supporters. This week, I want to combat that with a clear demonstration that we welcome and support our Muslim neighbors. Thanks to donors Abigail W., Eric A., and their matching employers, last week we raised a total of $350 for ProPublica and its mission of independent journalism. Thank you so much! For our next charity, I’m focusing a little closer to home than usual. Early on the morning of January 14th, a fire devastated a mosque in Bellevue, Washington; investigators believe it was the result of arson. The mosque, the Islamic Center of Eastside, has been vandalized repeatedly over the last six months. The Islamic Center is now raising money to rebuild; they estimate it will take half a million dollars to fully recover from this attack. As usual, we’ll match the first $100 donated; go to LaunchGood to donate, and forward your donation receipts to matching@pyrlogos.com. In addition to the matching donation, each donor is also entered into the art giveaway drawing at the end of the month. The Affordable Care Act is in danger – and with it, millions of Americans’ access to health care. The Republicans have claimed to be following a “repeal and replace” plan, but seven years after the ACA was passed, they still don’t have anything even resembling a replacement plan. Put simply, if the ACA is repealed, thousands of people will die. That said, Congress’ recent attempts to circumvent ethics rules, which they were forced to backtrack after public outcry, shows that they will react to a sufficiently large and vocal opposition. So: call your Congresspeople! Bustle has some scripts you can use. The first few days of the 115th Congress include an attempt to dismantle the House’s ethics office, Republicans trying to rush through confirmation on Trump’s Cabinet nominees before their ethics investigations and background checks are completed, and the long-expected effort to revoke the health insurance of millions of Americans. It’s hard to keep on top of it all, especially since most corporate media has no interest in criticizing the Trump regime in any depth, so this week’s non-profit is deeply necessary. More on that after we review our impact from 2016. And read on to the end to learn about the new donation incentive: a monthly art giveaway! Last week’s donation from Rebekah C. plus our match resulted in $50 donated to NARAL. That brings us to a total of $1,475 raised for five charities in November and December last year! Thank you to everyone who has donated so far. If we can do that in five weeks, what can we do with the fifty-one weeks left this year? I’m going to be ambitious and set a goal of $20,000 raised through the Weekly Charity Match this year. Let’s get started! They’ve got a lot of work ahead of them. When you donate to ProPublica this week, send your donation receipt to matching@pyrlogos.com, and we’ll match the first $100 in donations. 1. ↑ Limit one entry per person per week; you don’t need to split your donation up into multiple smaller donations just to generate more receipts. While I liked the “Matching Monday” name (because Alliteration is Awesome! ), it’s not just a Monday project; donors have contributed on every day of the week, and I usually make my matching donation sometime over the weekend. So, the “Matching Monday” series will be called “Weekly Charity Match” going forward. Finally, I’ll be announcing a new donation incentive next Monday as well. Stay tuned!